Brighten up your winter with some fresh produce and seasonal dishes. It may seem impossible to get fresh, seasonal produce in the middle of winter but, in fact, there are plenty of nutritious, hearty, and delicious fruits and vegetables available. From crowd-pleasing pears and grapefruit to more daunting veggies like rutabagas and beets, here are our top 10 picks (and favorite ways to prepare each). These baby cabbages become a staple veggie side dish in the wintertime. Brussels sprouts grow on stalks in the ground for several months in cool climates, typically in the Pacific Northwest. They’re sold in small bunches or on a full stalk, which just means you’ll have to do the trimming yourself. While they’re popular roasted or pan-fried, we also love them on pizza. 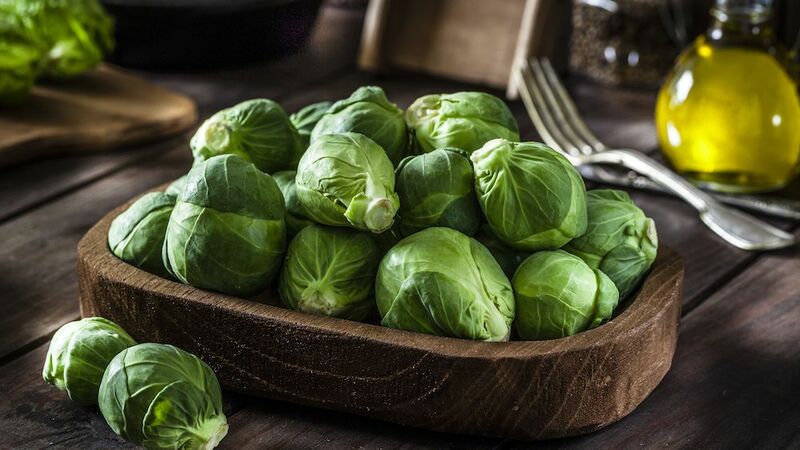 Nutritional bonus: Brussels sprouts have high levels of antioxidants, which may lower stress, improve gut health, and detoxify the body. Despite evoking images of palm trees and turquoise pools, the grapefruit’s time to shine is the middle of winter. The fruit's peak season begins in January which is perfect timing–thanks to a number of major health benefits, grapefruits can help kick your New Year’s resolution into full swing. The pinkish-red flesh is tart and tangy and can easily brighten both sweet and savory dishes. 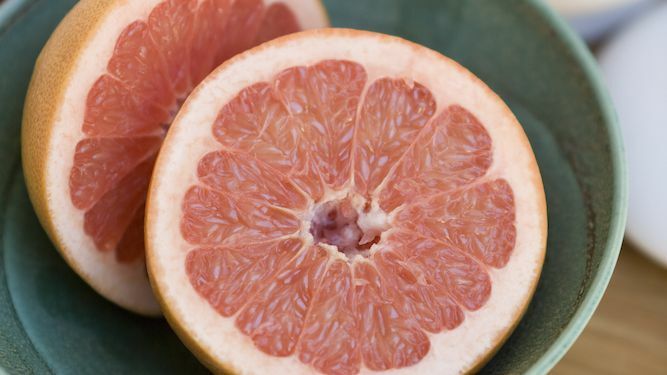 Nutritional bonus: If the bright coral color isn’t enough indication, one grapefruit is loaded with vitamin C— a.k.a. 64% of your daily recommend value, to be exact. Sweet potatoes are a bright orange root vegetable with more flavor than your trusty russet. Warm spices like cinnamon and nutmeg complement the potato’s natural sweetness and elevate a simple side dish. Sweet potatoes are delicious mashed, roasted, fried, whipped into a sweet pie, and, of course, covered in marshmallows. 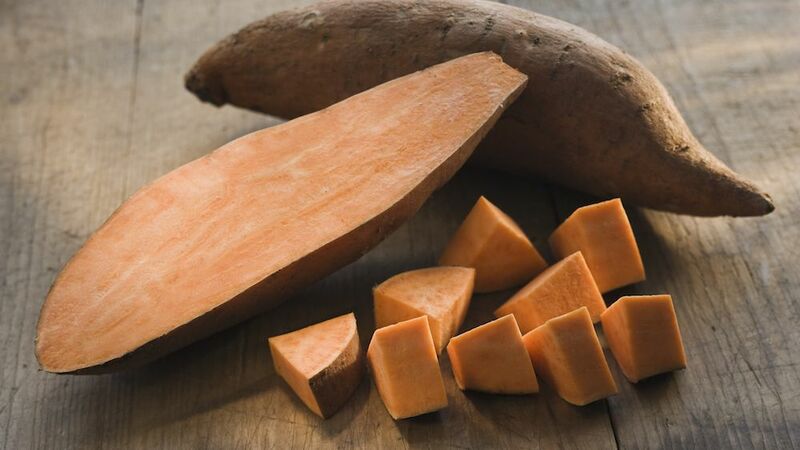 Nutritional bonus: Despite their sweet flavor, sweet potatoes are actually good for you—one serving contains 400% of the recommended daily vitamin-A intake, plus beta-carotene, and loads of antioxidants. While Bartletts and Boscs may be the first types of pears to come to mind, there are 10 different kinds to choose from… and that's grown in the USA alone! 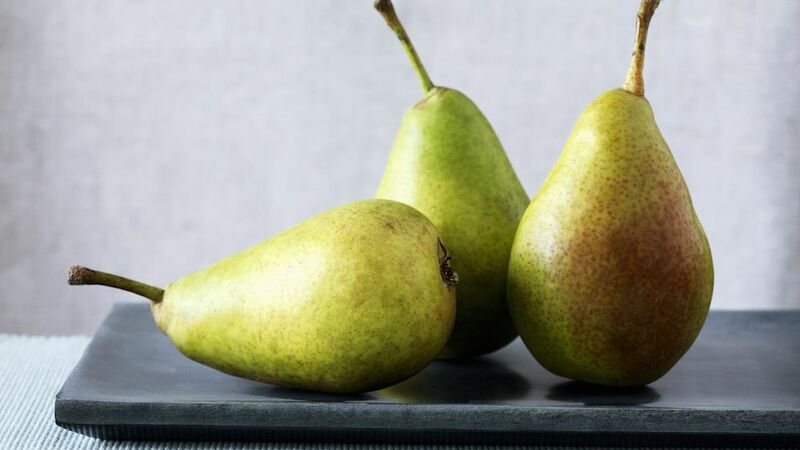 Pears range in texture from crisp to soft, and in flavor from tart to sweet. Since pears don’t fully ripen on trees, it can be hard to tell if they’re ripe in the store—to check, gently push your finger on the flesh. If the pear is soft, it’s ready to eat. Nutritional bonus: Pears are the perfect healthy snack—one small pear contains just 86 calories and 18% of your daily dose of fiber. 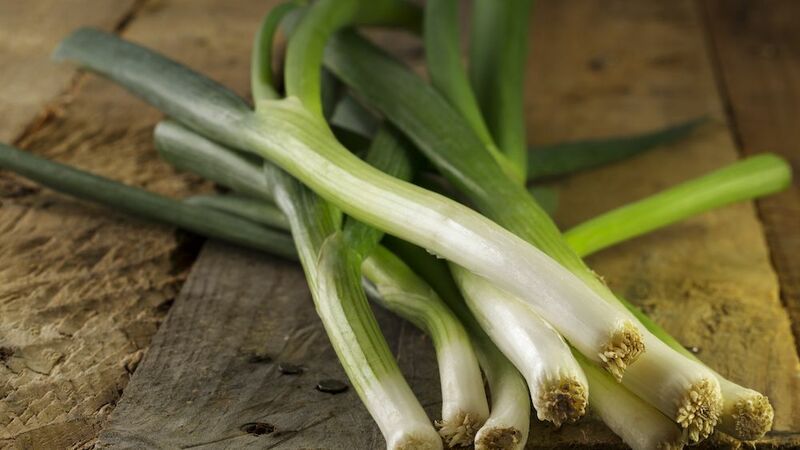 Leeks are a part of the Allium family along with chives, garlic, onions, shallots, and scallions, though they have a mild onion flavor by comparison. They’re one of the key ingredients in Vichyssoise, a traditional French soup, and are also delicious on flatbreads, in quiches and pasta dishes, or served alongside seafood. Our easy-to-follow guide will show you how to prepare leeks. Nutritional bonus: Leeks contain lutein, zeaxanthin, and vitamin A—all of which contribute to healthy eyesight. You can’t go wrong with one of the many hearty varieties of cabbage: red, green, bok choy, napa, and savoy. All have a mild peppery flavor with similar benefits to other leafy green veggies (but the red is loaded with bonus antioxidants). When prepping, always discard the outer few wilted layers. Chop up cabbage for stir fry, salads, soups, and slaws. 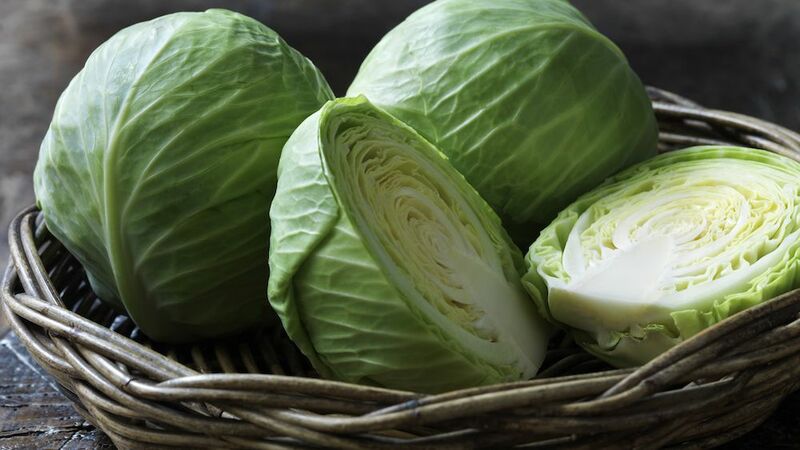 Nutritional bonus: Cabbage's high levels of vitamin K and vitamin C promote strong, healthy bones. They look like radishes and turnips but have a mild, bitter flavor comparable to other root vegetables. Besides that, what exactly are rutabagas? 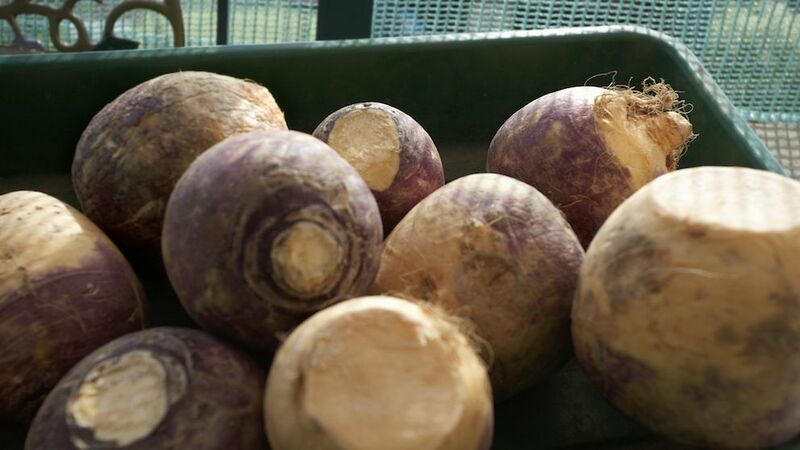 Rutabagas, like turnips, are members of the cabbage family and share a bitter, earthy flavor. Their waxy exterior should always be peeled (this will be easiest with a sharp paring knife or Y-shaped peeler) before mashing, spiralizing, or roasting. Nutritional bonus: One cup of diced rutabagas contains 50% of the recommended daily value of vitamin C, which is linked to overall cardiovascular health and an improved immune system. Swiss chard is a nutrient-dense leafy green that is seasonal in the winter and spring. Like collard greens and kale, Swiss chard is best sautéed low and slow. However, the slightly bitter, crunchy leaves taste delicious raw as well. 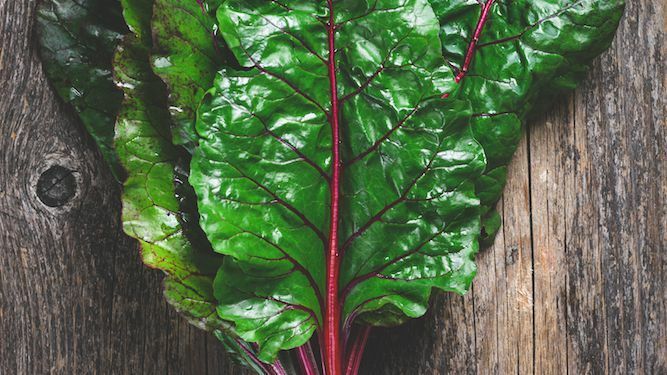 Check our handy guide for a how-to on cleaning and preparing Swiss chard. Nutritional bonus: Swiss chard contains high levels of vitamins C and K, which help lower the risk of diabetes and improve blood circulation. Beets are a super versatile veggie that can add color, texture, and flavor to any dish. To elevate their flavor, poach them in water with aromatics like cloves, coriander seeds, and peppercorns before slicing or dicing. While red beets are the most common variety, don’t overlook the beta-carotene-packed golden beet (their color won’t bleed and stain your cutting board, either). 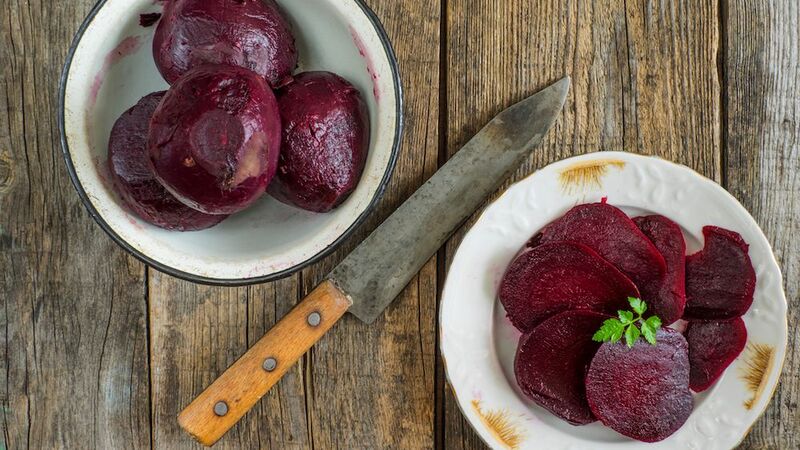 Nutritional bonus: Beets’ bright red color indicates their abundance of antioxidants, which can improve blood pressure and lower risk of blood disease. Parsnips get a bad rep for being the carrot’s bland cousin, but their versatility as a root veggie allows them to elevate a variety of dishes. 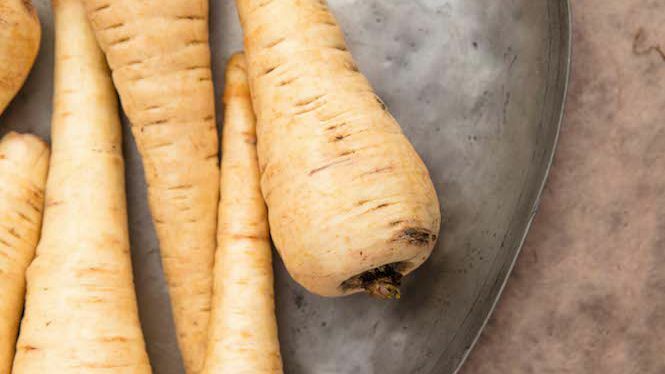 Plus, parsnips’ sweet flavor is most concentrated after the first winter frost. They’ll keep in your fridge raw for at least a week, but turn them into soup and they’ll last even longer. Nutritional bonus: One cup of parsnips contains 14% daily value of potassium—even more than a medium-sized banana.